A visit from the in-laws meant that this weekend I would be fishing with my father-in-law Jeff. I wanted to go somewhere which offered a bit of sport, with the potential of a few bigger bonus fish and within half an hour’s drive. There was only one option – The Viaduct. I was very keen to give Viaduct’s Cary Lake a whirl, but after asking a few questions on Maggotdrowners, I settled on re-visiting Match lake (There was a match on Cary, and Lodge was very busy). Jeff and I arrived at the Viaduct around 9am, and walked through the car park mid peg draw. I have never seen so many fishing barrows. Most of these match anglers had more gear than some small shops! 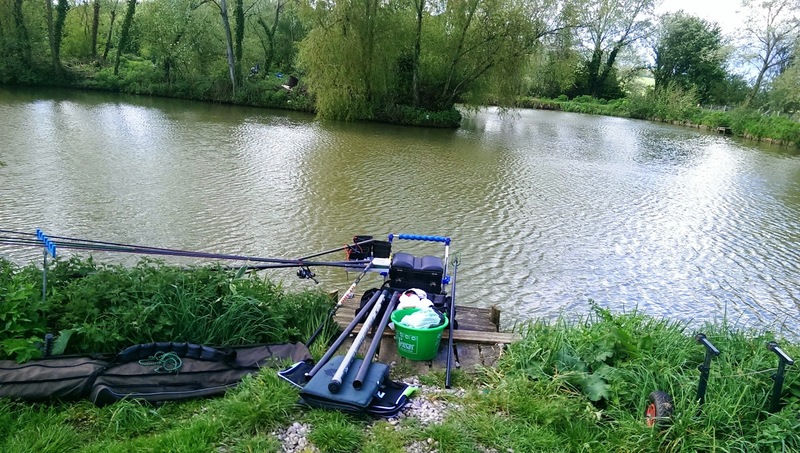 Not that I was jealous… I loaded up my trolley and heaved my gear over to Match Lake. I was desperately hoping for a better result than my last visit, although the weather was a lot warmer. I positioned Jeff on peg 48 and I took up residence on the peg diagonally opposite (49). · Topkits 2 and 3 – 14 and 16 Elastic – 0.3g Rizov Float – 4.12lb Reflo Power Line straight through, one for banded pellet on a QM1 Size 16 and one for meat on a PR478 Size 14. 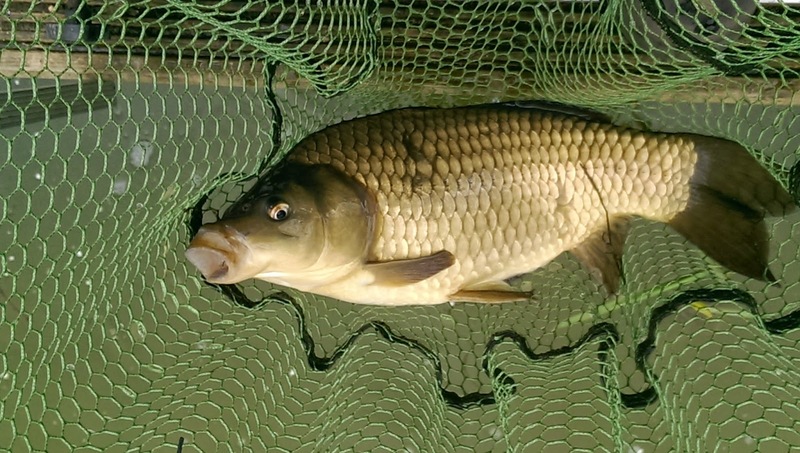 · Pellet Waggler Rod- Maxima Chameleon 4lb line to a 8g (Had to be 8g – it was windy) Preston pre-weighted PW float to a 3lb hooklength on size 16 QM1 hook. In typical fashion, I set up my pole lines, plumbing left and right margins and out in front, but forgot my pellet wagglers (leaving them in the car). I baited my swims, and giving them time to settle I walked to the car to retrieve my forgotten floats. On the way back, walking past Jeff he informs me (with a big smile on his face) that I missed him catch a 5lb carp! Subsequently the score was now 1 – 0. He was using corn, before long it was 2 – 0 and I was still faffing with my rigs. Nightmare. 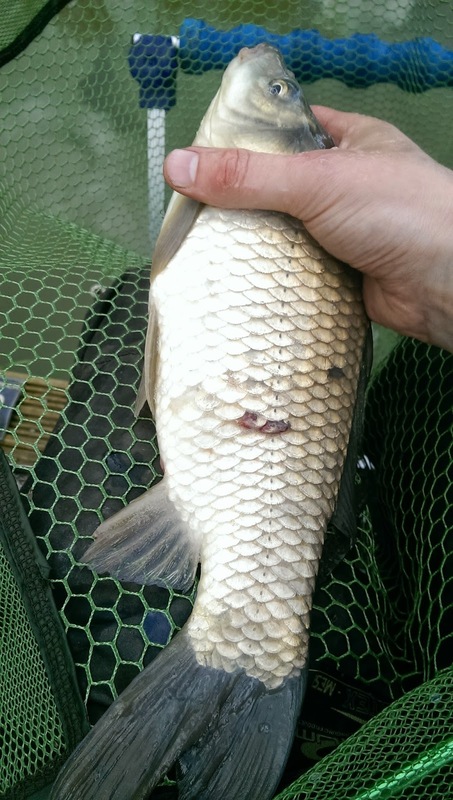 I eventually got underway, and abandoning my first approach of using double red maggot I went straight in with 8mm banded pellet. 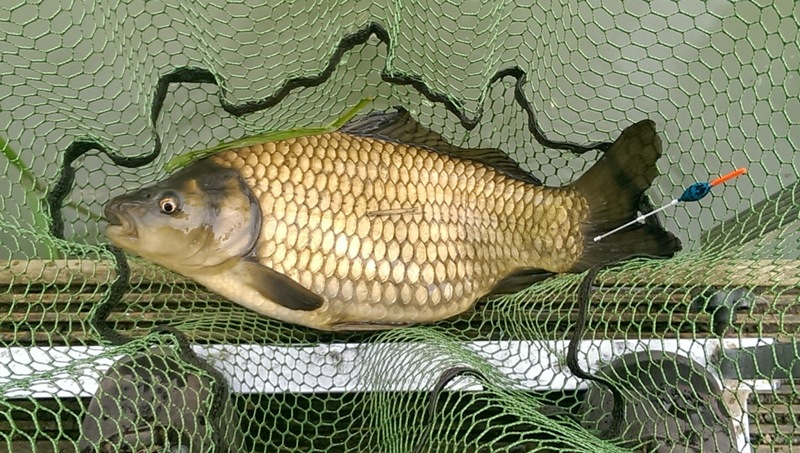 Within 2 minutes the float slipped away and I was in to a chunky F1 Carp of around 3lbs. Shipping back out again with a banded 8mm I was in to another F1 within 3 minutes. I was going to be one of those days it seemed! I started cycling through my bait options. 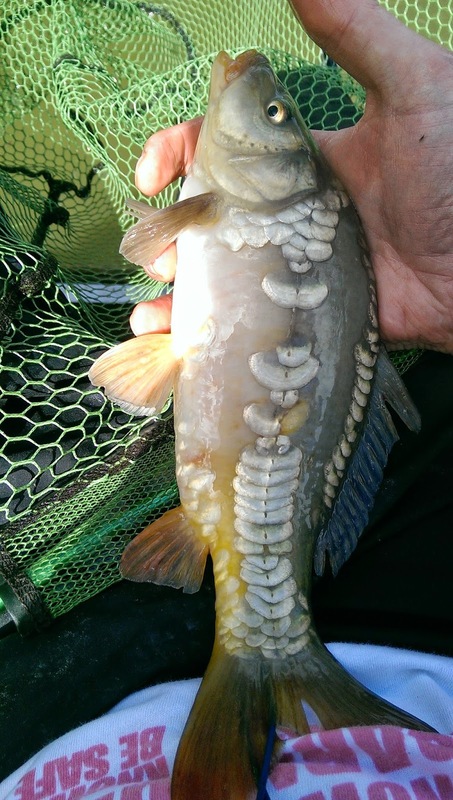 Corn seemed to pick up nuisance fish from blades to Roach around ½lb. If all the Roach and Rudd were towards the bigger end of the scale I would have happily sat it out on corn, but the smaller fish were a bit of a pain. Every few minutes I would look up to see Jeff into another fish. He was doing very well fishing the pole, with the wind now blowing firmly in his face. In my defence, before we started there was no wind. A bit of scale damage with this one. I switched to meat and the bites slowed right down. Although I continued getting “liners” it took about 5 minutes before a slightly smaller F1 picked up the polony offering. The fish were still coming quite quickly. Looking around the lake, it seemed as though we were catching the most consistently, and by 2pm I counted over 20 F1’s. Jeff wasn’t far behind either, and had caught a lot more silver fish. The wind seemed to be dying down, and with a lot of activity around the island I decided to give the pellet Waggler a whirl. I set the depth and cast out and after a few moments the float bobbed and disappeared under the surface and I was in to a fin perfect mirror carp just over ½lb. My next cast was caught by a swirling wind and ended up in a tree. Bugger. I set up again and re-cast, within 3 mores casts, 2 missed bites and an increasing wind I was in the tree again! 2 floats lost in 20 minutes was not my idea of fun, and while Jeff laughed at my bank side strop I packed up my pellet waggler rod for another day, while having a sandwich and cuppa to calm the nerves (temper). It was much safer and successful for me to go on the pole. I didn’t bother with my left hand margin and focused solely on the right. For the first 4 hours I had been fishing at 2+2, but now watching the reeds along the banking there was a lot of movement coming at 2+1. I grabbed a few good handfuls of damp 4 and 6mm pellets and went straight over the top with an 8mm. 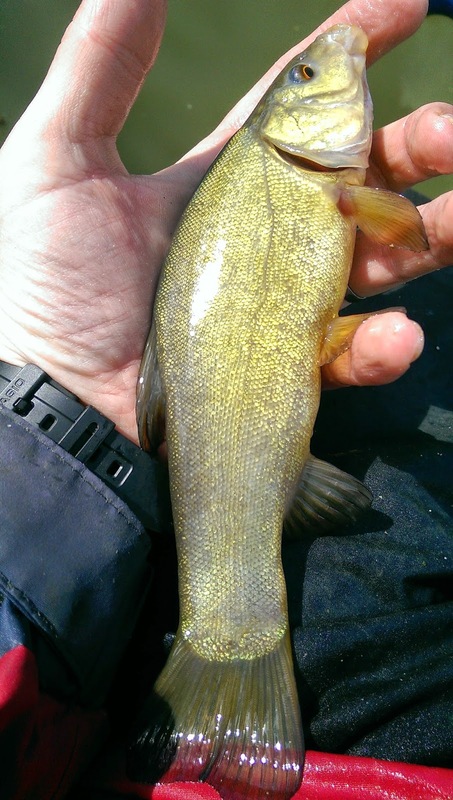 Feeding heavier seemed to do the trick and before long the bite positivity had increased as well as the stamp of fish (aside for the token ½lb Tench – My first of 2015). Time was ticking on, and with a meal planned that evening we decided to fish until 4.45 – 5pm. At 4pm I threw in the majority of my spare bait, leaving what I assumed to be an hours’ worth of hook pellets on my side tray. I banded on an 8mm hard pellet and shipped out. The float slipped away and I was in to a better fish. The fight took considerably more time the previous fish although playing it in the hammering down rain (there were frequent heavy down pours of rain that day) wasn’t fun. The rain broke when I finally got the fish in the net. 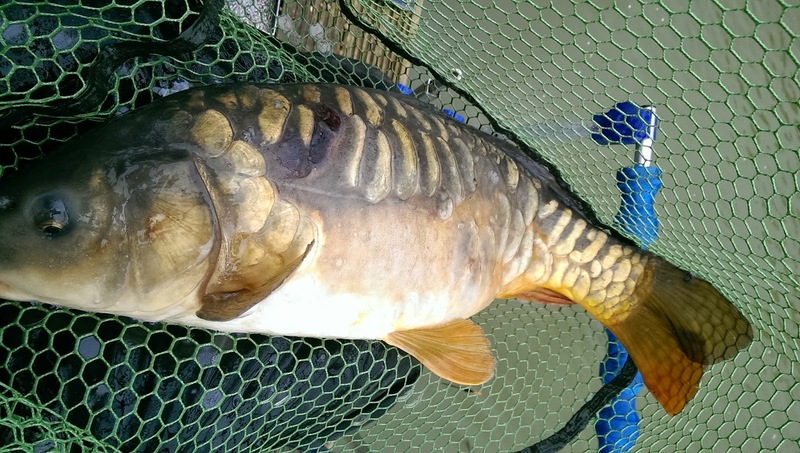 A fish which topped the scales at 8lb. Returning the fish to the water it wasn’t long before I was in to another fish which topped the scale at 10lb! A very productive 20 minutes. Within 10 minutes I was in to another fish which proved to be my last fish of the day at 7lbs. I guestimated roughly 35-40 F1’s (that purple patch between 2 and 4 really helped my numbers and what was already a very successful day) and 2 better Carp (3 fish totalling 25lb) meant I’d probably achieved a ton bag – Although I don’t really use keep nets on commercials. Jeff seemed to have a good day too, although that elusive species the Tench still evaded him. I think this trip more than compensated for my last visit, and brings home the fact the Viaduct really is a top class national fishery. But in future when I visit the Viaduct I’ll aim to fish the other lakes. 3 Times on Match Lake will do for me. For those who are interested the 2 matches that were being fished on Campbell and Cary were won with 250lb+ (Campbell) and 120lb+ on Cary. As the owner said to me as Jeff and I were leaving “That’s not fishing, that fighting…” I suppose he was right, but it must have been bloody fun fighting. As for a rating see this post. The fences at Viaduct aren't electrified. Have you tried Sedges yet? I thought they may be electrified at certain times.of the day, ah well it answers a question I had. Don't think I'll be able to get out this weekend, if I do it'll only be for an hour or 2. Nope, not tried Sedges yet, aiming to get up there next weekend, if not definitely the one after. Would give Summerhayes a whirl but it's so well covered by everyone else I can almost predict what I'd catch. For this DIY pond exceptionally vital DIY item Koi Pond Repair to keep up so that the work what has done must not be squandered after years.